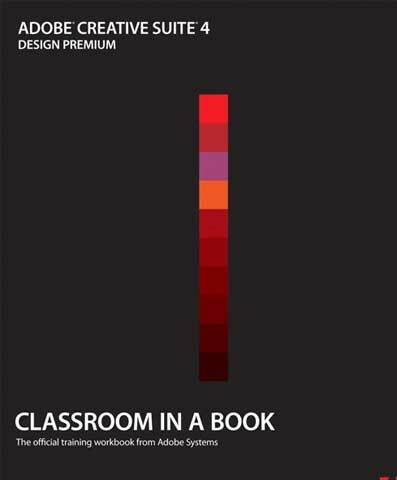 Adobe Creative Suite 4 Design Premium Classroom in a Book /by Adobe Creative Team. This thorough, self-paced guide to Adobe Creative Suite 4 is ideal for users who want to learn the key features of Adobe's stellar collection of professional design tools. Readers are first given a brief program overview of the Design Suite that highlights common features and includes a section on cross-media workflows. Then readers will get up to speed with each software application using step-by-step, project-based lessons, with the lessons in each chapter building upon the reader's growing knowledge of the programs. Projects include designing a logo and creating basic assets, creating a brochure, prototyping a basic Website, creating interactive Flash and PDF documents, communicating through mobile devices, and submitting work for collaborative reviews. Review questions at the end of each chapter wrap up each lesson to help reinforce the skills learned in each chapter.